waw047534 WALES (1952). 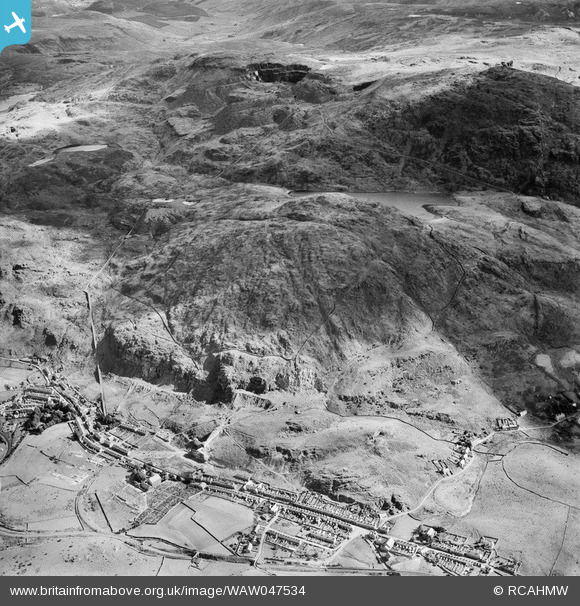 View of Madoc quarry, Blaenau Ffestiniog, commissioned by Cawood Wharton & Co. Ltd. Title [WAW047534] View of Madoc quarry, Blaenau Ffestiniog, commissioned by Cawood Wharton & Co. Ltd.
Now the home ground of Blaenau Ffestiniog Amateurs FC, famed for having an old Ffestiniog Railway station as their stand until around ten years ago.